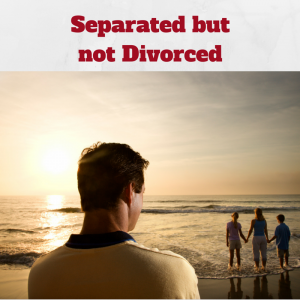 How long term separation without divorce can affect your estate. The recent court case of Joy Williams, who won the battle to inherit her partners’ share in their house (over her partners’ ex-wife, from whom he had been separated for over 18 years, but never divorced) highlights the difficulties that can arise when a long term separation does not end in divorce. Although Joy had been Norman Martin’s partner for 18 years, and had purchased the house with him in 2009, she did not automatically inherit his half of the house when he died, and faced losing her home. She won this case, it was by no means guaranteed. Had she lost, she would not only have gone through a stressful and lengthy court case, but would have faced costs of over £100,000 (which must now be paid by Mr Martin’s estranged wife). Why do some couples never divorce? There may be many reasons why couples choose to separate but not divorce: religious beliefs; fear of upsetting their children; a wish to respect the relationship they have had with their ex; an unwillingness to move on; fear of an amicable separation descending into fights over money; or simple procrastination and fear of legal costs. But if you have no intention of getting divorced, or of getting back together, then it’s an excellent idea to make a clear and binding will so that the acrimony you’ve avoided in life can still be avoided after you have gone. If you haven’t made or updated your will since separating from your ex, then on your death your ex may inherit ahead of your partner – and even ahead of your children! We’ve recently released a Guide for the Recently Separated on how to protect themselves and their children, but even if your separation was a long time ago, the principles within still hold. In Joy Williams case she was exposed because, although they had purchased the property together (and long after his separation from his wife), she and Mr Martin purchased the property as Tenants in Common, rather than Joint Tenants. This meant that she did not automatically inherit her partners half of the house on his death. Perhaps Mr Martin had made this arrangement to protect his estate for his children from his marriage, assuming that his half of the house would automatically go to them. But as he was still legally married to Mrs Martin, this was not the case. He may have even mistakenly believed that his partner was protected by ‘Common Law Marriage’ (which, legally, does not exist). But there is no way of knowing what his thoughts or intentions were, as he did not leave a will. If you were to unexpectedly die tomorrow, who would you want to inherit: your ex or your children? Even if you do wish to make some provision for the spouse that you are now separated from, what will happen to your children’s inheritance if your ex remarries after your death? Have you put any legal arrangements in place to ensure that your estate passes to your children after your ex’s death, or could they unwittingly pass it on to their new spouse and step-children by dying intestate themselves? Each person’s circumstances are unique and it’s important to have a full and frank discussion with a legal expert before making any decisions about your estate. If you’d like to book a free consultation with one of our legal experts, book online or call 01342 477 102 and quote ‘Separated Blog‘.